As you know, here at The Oxford Club, we believe in the importance of travel. Opening yourself up to new places and experiences enriches your life like nothing else can. We’re so passionate about this belief that we’ve decided to show you just how much travel can enhance your life. 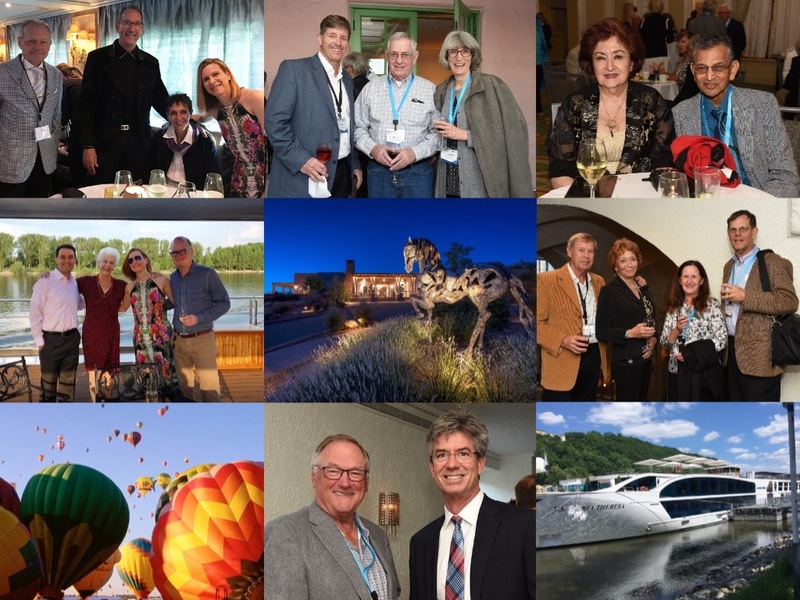 We recognize the sophisticated manner of travel our Members have come to know and expect when they join us for our conferences, tours and events held in only the best locations around the world. In our commitment to always keep you engaged with Oxford Club travel, we will be introducing a new look for the Oxford Voyager Club. Our goal will be to share some travel-related wisdom with you, be it a story or a simple pointer to help you make the most of your experiences, both domestic and abroad. In fact, take a glimpse at our “Spotlight” at the end of this issue. It includes a chapter from our new Voyager Diaries. If you don’t already receive a weekly email from the Voyager Club, simply click here. We couldn’t be happier with the outcome of our 19th Annual Investment U Conference. The answer? Well, Oxford Club Chief Investment Strategist Alex Green kicked off the event with his presentation “The American Dream Is Alive and Well: Here’s How to Play It,” which set a great tone for the following four days. There was so much excitement, both from our speakers and from our attendees. We were thrilled to welcome back former President of Shell Oil John Hofmeister and other crowd favorites such as Rick Rule and Mark Skousen. And we can’t forget about the captivating performance by Rustem Hayroudinoff, whose classical performance enraptured the audience at the Chairman’s Circle Gala. All in all, we were sad to say our farewells, but we’ve jumped right into planning our 20th anniversary of this fundamental event. We hope to see you there next year! Want to know what makes this event so great? 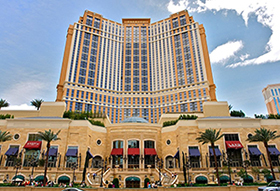 Join us in Las Vegas to find out – it’s our 20th anniversary and we’re going BIG! We’ve even opened early registration at the lowest prices we’ve ever offered for this event. Click here to reserve your spot today! We’ve just returned from a fabulous journey. Steven and I had a wonderful time during our first ever Beyond Wealth River Cruise. Along with 28 Members and Editors Alex Green, Marc Lichtenfeld and Steve McDonald, we spent a week on the luxurious S.S Maria Theresa cruising down the Danube. From our start in beautiful Budapest to the former Soviet Bratislava and charming Vienna, it was certainly an unforgettable trip. Along the way, we hosted three half-day financial seminars, enjoyed a private tour of the Kunsthistorisches Museum in Vienna, visited an organic winery in the picturesque Wachau Valley, and had the opportunity to spend the day in the fairytale town of Salzburg. We were treated to gourmet cuisine and daily wine selections from the onboard sommelier, celebrated birthdays and anniversaries with Members and made many toasts to new friendships. We were all sad to depart at our final port of call, but we’ll have more trips together. Our goal at the Club’s Private Wealth Seminars is to make sure you have the knowledge and preparation you need to find opportunities to profit in the year ahead. We understand you have a busy schedule, but this is information you shouldn’t miss. That’s why we’re giving you the option as to when and where you’d like to join us! Leave your worries on the mainland and arrive at our summer Private Wealth Seminar by horse-drawn carriage, where white-glove service is around every corner. Here, you’ll experience America’s true Grand Hotel, which embodies tradition, elegance and sophistication. The hotel, known for its warm hospitality, will be sure to take you back to the turn of the century. And you’ll never run out of things to do on the property. 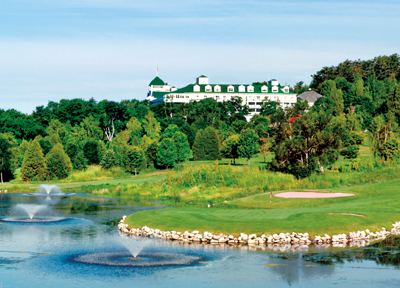 The Grand has a great deal of activities happening around the clock, including swimming, golf, lawn games and much more. Feel like exploring? Tour the charming town by foot or bike, indulge in the fresh dining selections and enjoy breathtaking views come sunset. We encourage you to take a break from it all and let historic Mackinac Island enchant you. P.S. It’s not too late – we still have 10 spots available. Click here or the button below to sign up today. With bucket list destinations always on our minds, we are returning to the Southwest for the first time in 10 years – and you’ll soon see why. Once named “Rancho de los Soñadores” (Ranch of the Dreamers), what is known today as Rancho Encantado captures the true spirit of Santa Fe and its rich culture and history. Its unique rooming style is made up of 65 plush “casita” style guest houses, making for a great intimate setting. Feeling adventurous? 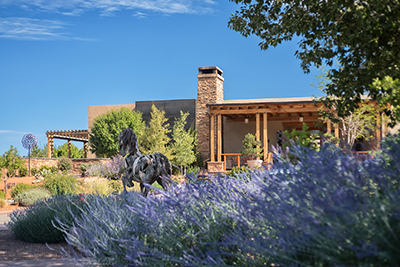 Aside from the hotel, Santa Fe has plenty to offer visitors, including New Mexico’s own “seven wonders of the world” – which you can view from a hot air balloon. For more details, contact voyagerclub@oxfordclub.com. To reserve your spot today, simply click here or the button below. We’re heading across the pond this coming October for what will be the utmost exclusive tour of London and Scotland. And whether it’s your first time or your fifth, we can assure you it will be unlike any other visit. On this trip, you’ll be joined by Editor Alex Green, lifestyle expert Fritz Satran and our Event Director Steven King. We are very excited about this program, not only for the financial insight you will gain, but also for the chance you’ll have to truly connect with the cultures of the places we’ll be visiting. The tour will begin with four nights in London, where we will enjoy two seminars focused on creating a robust investment portfolio, in addition to several VIP events. These include a private cruise along the River Thames, a candlelight concert at St. Martin-in-the-Fields and a truly spectacular private gala dinner at the Tate Britain. We’ve planned a tour of Loch Ness, a visit to one of the country’s oldest whiskey distilleries, two days at the renowned Gleneagles resort, a trip to St Andrews and a very special farewell event in Edinburgh. For more details and to view the full itinerary, please click here. P.S. Are you local? There are options to join us for just the seminars, the London portion only or the entire event. To find out the full details and to sign up today, please contact Karoline Bowman of AESU Travel by email at karoline@aesu.com or by phone at 800.638.7640, ext. 113. To maintain the exclusive nature of this event, space is limited. There are a handful of cities across the world that will bowl you over with their cultural richness. Food, music, architecture… Mexico City and Istanbul are two that come to mind. Then there are cities that impress with the high standard of living residents enjoy. Great weather, beautiful parks, outstanding public transportation… Melbourne and Singapore are near the top of that list. I dare you to find another place in the world more celebrated for its architectural treasures, art, food, wine and music than Austria’s capital city. It’s a city that can claim world-changing geniuses like Mozart, Beethoven, Freud, Brahms and Klimt as its own… And on top of all this, it can challenge any city in the world for the highest quality of life. And I’ll keep waiting. Because life simply gets no finer than it does in Vienna. Aesthetically, Vienna is a masterwork. Formerly home to the Habsburg dynasty, Vienna was also the de facto capital of the Holy Roman Empire for more than 300 years. Such a prestigious history explains why Vienna is home to the most outstanding baroque palaces in all of Europe, including the Belvedere, Palais Kinsky and the Hofburg Imperial Palace. Collectively, these landmarks are the enduring legacy of the Habsburg monarchy. But it’s not just the palaces that will win your heart. The museums will as well. For fine art in Vienna, the best place to go is the Kunsthistorisches Museum, home to works by some of history’s most celebrated artists, including Velázquez, van Eyck, Rembrandt and Michelangelo. But how can we discuss culture in Vienna without considering the music? Vienna is the “City of Music.” Beethoven, Haydn, Schubert and Mozart all composed some of their finest works here. These days, concert halls such as the Theater an der Wien, Wiener Musikverein and the Wiener Konzerthaus immortalize the compositions of these incomparable geniuses. And then there are Vienna’s many plazas and parks. Visitors and Viennese alike are fond of taking strolls through the Burggarten, famous for its statues of noteworthy Austrians. Nationalpark Donau-Auen alongside the Danube is a lovely setting for a Sunday picnic. You would think that in a city with as much culture as Vienna, there might be drawbacks in other areas, such as quality of life. But that’s hardly the case. In fact, the more I think about it, the more it seems like the high culture of Vienna is a function of its high quality of life… and vice versa. Beyond the parks and top-notch cultural offerings, Vienna’s quality of life perks include affordable public transportation, a reasonable cost of living, a temperate climate, year-round festivals and ski slopes no more than an hour’s drive away. And did I mention the food and the wine? The coffee culture is legendary, and the pastries, including the famous Sacher torte, are among the best in Europe. Perhaps best of all, Vienna is one of the few capital cities in the world that harvests its own wine. In fact, there are more than 1,530 acres of vineyards within Vienna’s city limits. What are you waiting for? Vienna waits for you.